Green Flash teaches the ABC’s of Kiteboarding, Wakeboarding, and Paddleboarding. They are dedicated to helping people experienced and new to learn and enjoy the fastest growing watersports in the world! 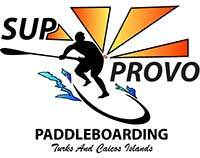 They strive to create an atmosphere where your safety, comfortability and success is the priority and with a private location on Long Bay beach, amazing shallow water, and friendly experienced IKO, CWSA, and PADDLEFIT certified instructors, they do exactly that! Come find the GREEN FLASH today for the ultimate watersports adventures! Step into the Liquid…. Full kiteboarding instruction is available on the latest gear (Naish, Cabrinha, F-One & Mystic) while experienced kiteboarders need only ask about our KiteSafaris and epic down-winders. 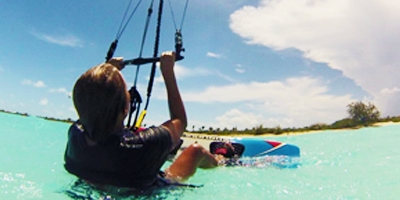 Our kiteboarding school in Providenciales has shallow, warm water and consistent wind which makes here a paradise for kite lessons or to improving kiteboarding skills. Private or group lessons are available. Mangrove Tour – Connecting You With Nature! If you have not been on one of our eco-adventures, we recommend you start with this tour as it offers amazing diversity and is the easiest tour so suited for all skill levels. You will paddle to a neighboring small mangrove island, which offers hidden trails that zigzag throughout it. We are experts in the eco-system and share with you the science and nature of this magical world. Our eco-guides have a trained eye and will point out things often missed by the untrained eye. If beautiful sights and picturesque views are your thing, then this is the tour for you. We are a small and friendly company whose sole focus is to provide the best experience in kiteboarding lessons for beginners to advanced riders! Our dedicated team of highly experienced instructors have over a decade of teaching experience! The TCISA gives sailing lessons and is the internationally recognized governing body of sailing for TCI. Members receive use of our boats, and discounted rates on our programs.